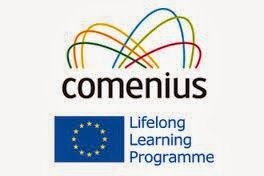 The project Blog will contain everything related to the Comenius project “Democratic Values and Linguistic Diversity"
It is a visual and dynamic online platform which illustrates and disseminates the project development through regular updating: writings, introductions, descriptions of places, pictures and videos on Democratic Values and Linguistic Diversity. All outcomes on the Blog are the results of students’ and teachers’ common team work at the six partner schools: Bulgaria, Italy, Poland, Romania, Spain and Turkey. We are very glad to have this tool to participate , regularly, as a NEWSPAPER. Every country will participate in giving information about the research being done by each School at different times of the project, all related to the Workprogramme, results and outcomes of the Project. Different topics from different points of view will be shared, we are all invited to participate in this blog. How do we develop democratic values in our school and local community? Is our curriculum dealing with a "Civic Society"?